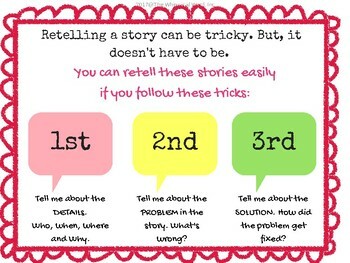 Retelling a story can be a difficult task! 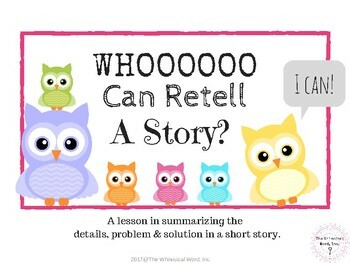 This FREE version of my original product is my BEST seller! 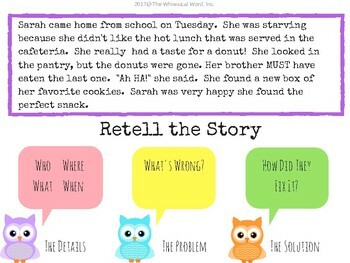 Next: Tell about the problem in the story. What's wrong? 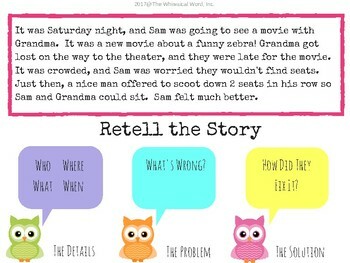 Last: Tell about the solution to the problem. How did the problem get fixed? Download it today! If you'd like additional products that are NO PRINT and NO PREP, visit my store and follow me!